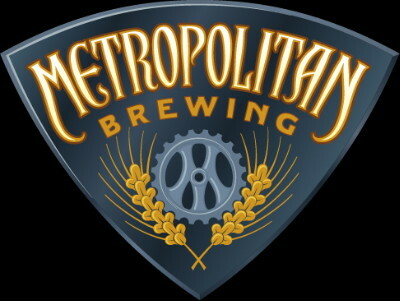 Way back when I first started writing for Aleheads and conducted a now totally out-of-date survey of the Chicago brewing scene, one of the places I glossed over in my haste to showcase all the big, burly ales out there was Metropolitan Brewing. Because they focus largely on classical German lager styles, they’ve just never been a place I focused much attention on. Sorry, Metropolitan guys. I know you probably don’t care much, because as I’m always reminded when I visit Chicago, there are plenty of people who are Metropolitan fans. And I’m glad that the brewery has been successful, because there are definitely places and times for traditional German beers. Anyway. While visiting a Binny’s up in Chicago a few weeks ago, I happened to notice a selection of Metropolitan beers in a mix-a-six rack, and I thought this would be a good opportunity to give them the fair appraisal that they have no doubt deserved since the beginning. So here you go, tasting notes on three different Metropolitan brews. In the end, I was underwhelmed by one and quite impressed by two! Notes: 12 oz beer poured into a Chicago Craft Beer Week pint. APPEARANCE: Fizzy yellow, with a quarter inch of foam. Slightly darker than a Budweiser would be in your glass, I think—not that I would know, of course. AROMA: Spicy hops and fresh buttered toast. TASTE: Wow. This is surprisingly assertive. It’s actually rather rich, with caramel flavors, and kind of buttery? It does not taste like I was expecting it to, and I’m having a hard time even describing it. One thing is for certain, and it is that the hops are getting lost. MOUTHFEEL: Surprisingly full. Meant for quaffing, but it’s just…not. DRINKABILITY: Lower than it should be. NOTES: 12 oz bottle poured into a pint glass. APPEARANCE: Light orange and pretty, with a thin, quarter-inch of thin white bubbles. AROMA: Sweet malt with a distinctly “German” aroma of Vienna or Munich malt, and a kiss of noble hops. Smells quite appetizing. TASTE: Complex malt flavors with light caramel and munich malt flavors. Similarly “quasi-rich” malt presence as the Flywheel, but it works a lot better here and I like it a lot more. Herbal and earthy hops peek throug and keep it in balance. Very tasty indeed. MOUTHFEEL: Light to medium. It shouldn’t be lighter than the Flywheel, but it does seem that way to me. DRINKABILITY: Well, I downed my pint of this in about five minutes, so I’d have to say it’s pretty damn high. I would have been happy to have another. OVERALL: For somewhat similar beers, it’s funny how much more I like this one. This beer stacks up great against German-style beers from many American breweries. Honestly, if you labeled this as the “Octoberfest” beer from just about any American brewer, I would say “This is a best-in-class example of the style.” So with that said, I have to give it 3.5 hops. Notes: 12 oz bottle poured into yet another pint glass. Usually I use my tulip glasses for these kinds of posts, but hey, these are German brews and two of them are lagers, so the pints just seem fitting. APPEARANCE: Very pale yellow and fizzy. It would be difficult to tell the difference between this and a BMC product based on sight alone. AROMA: Okay, you would know it wasn’t a BMC product now. Interesting aroma. I get candy-like sweetness, and a good bit of lemon zest and some flowery noble hops. TASTE: A little bit of doughy, grainy malt flavors, and then some lemon and orange peel citrus. A tickle of herbal hops in the finish. Refreshing as hell. DRINKABILITY: A guzzler. This would be a superb lawnmower beer. I can also imagine this being one of those random great beers to use to convert friends who are curious about better beer but need to tiptoe into it very slowly. Some people just can’t make the jump straight from Bud Light to enjoying a Sierra Nevada Pale Ale, and the next time I meet one of those people in the Chicago area, I’ll tell him to drink one of these. OVERALL: Good stuff, if not quite what I drink on a daily basis. Still, 3 hops. And so, thus ends my self-humbling experiment in trying something new, with the reminder that even though something is not in my typical flavor wheelhouse, it’s probably still worth a try. If you’re ever in a Chicagoland Binny’s, putting together mixed sixpacks, you ought to try them as well. 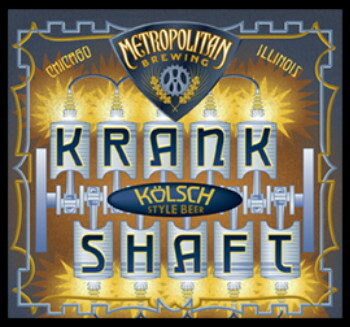 Posted in Ale Factories, Tasting Notes.Tagged chicago breweries, Dyanmo Copper Lager, flywheel bright lager, Kölsch, Krankshaft Kolsch, metropolitan brewing. 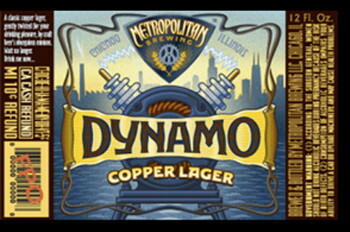 I had the Dynamo a few days ago at Hopleaf when I had a night in Chicago. Solid stuff. I think there’s a real missed opportunity among American beer geeks to be able to properly appreciate well-made lagers, as truly great examples stack up as some of the best beers in the world. The problem is that they don’t age or travel well, so it’s tough to find really good examples, which is why I’m always a fan of having locally-made microbrewed versions of classic styles. Now if only some of those breweries would start to bring the kind of innovation into those styles that they have into ales. 5 Rabbit’s Marzen beer is a step in the right direction. What is the maerzen from 5 Rabbit called? The problem with these lagers and whatnot, and the reason I’ve gone so long without really trying them, is just that when I’m in a place like Hopleaf, it’s so infrequent that I am automatically after the “most interesting” stuff on tap when I go. And it’s just really, really hard for a vienna lager to be judged as “the most interesting thing on tap” for me, especially when it costs the same as all the other beers. A Märzenbier (Oktoberfest-style) brewed with dulce de leche and flavors inspired by hoja santa. Dulce de leche is a type of milk caramel widely used throughout Latin America. Hoja santa is a large leaf commonly used in Oaxacan cuisine due to the richness in its flavor and aroma. A new seasonal that celebrates the traditional Día de los Muertos (Day of the Dead). The one and only Randy Mosher was also involved in the production of the beer, as with all the beers from 5 Rabbit. I’d say that definitely qualifies as one of the most “interesting” beers on tap at the moment at Hopleaf. YMMV. Your point is taken, though, about a hypothetical generic Vienna Lager. I’d argue that a locally-produced Vienna Lager is at least as interesting as yet another IPA (and I love IPAs! ), although there’s quite a bit of dreck out there in the world of craft-produced lagers. Personally, I like to work my way through the local beers first when I’m in a place I don’t get to regularly, so it was easy for me to give the Dynamo a shot. My opinion of the beer lines up pretty well with the OP. I have indeed had that beer, although I had it quite a while back, when it was called “Midnight Sessions.” I’m not sure why the name changed, exactly. I’m with Daniele on this point….’the “most interesting” stuff on tap’ is not always obvious, or rather, is sometimes too obvious for the wrong reasons. Experimentation, exploration, and re-imagining beer styles is very important to the craft, but these concepts can’t exclusively be the craft. The very nature of extreme (however you define it) beer means tremendous success and failure. I really think its important to drink all of it in. You’re both right (of course), Dylan and Daniele. I think Kid’s point is that if you’re visiting a well-stocked beer bar like the Hopleaf and have 40 taps staring at you, the natural inclination for any Alehead is going to be to gravitate towards the DIPAs and Imperial Stouts. The best beers on the menu could easily be a Vienna Lager, or a Kolsch, or a Dunkelweizen, but we’ve been trained as beer geeks to seek out the “biggest” and “boldest” flavors first. That’s a problematic approach, but I think it’s at least understandable. As the craft beer revolution continues to evolve, the palates of Aleheads will change as well. Personally, when I’m at a beer bar, I simply seek out offerings from breweries I know I like even if the style doesn’t jump out at me. The key, as you say, is to “drink all of it in”. Easier said than done, but, of course, exploration is half the fun! Admittedly, I love Imperial Stouts and DIPAs as well, but I think craft drinkers (and brewers) tend to think of lagers as “BMC transitional” beers in a way, and are generally dismissive. Personally, I just start with whatever I’ve never had before and work from there. And a brewery that can make a really great pale lager probably also makes a great stout. Another factor that I didn’t really explain isn’t just a preference toward stuff like IPAs and stouts, but a “get rare first” mentality as well. When I walk into a rare visit to Hopleaf and see some rare release (which are almost never session lagers) from other brewers, I’m going to order one of those over the “always there” local lager-maker, even if I’ve been meaning to try them for a while. That’s what happened to me; I kept putting it off and putting it off in favor of trying things I would only be able to get at that time, knowing that the lagers would still be there in the future. 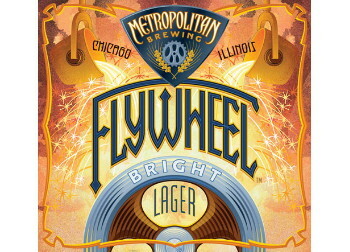 A well made lager is a gem and I’m certainly glad Metropolitan is taking the challenge. They are expensive beers to make on the small scale and innovation (as Daniele says, above) is quite difficult as the styles are steadfast. My own list of ‘stranded on an island’ beers is pretty lager heavy……. As far as innovation goes the trend towards India Pale Lagers is a step in the right direction. At the most recent Michigan Winter Beer Fest, local favorite the Livery produced a Sour Oak-Aged Imperial Honey Pilsner, which was phenomenal. I have to be honest, “sour, oak-aged pils” sounds a little icky to me, but I’d still give it a shot. Are you in Benton Harbor, Daniel? I visited The Livery on my Michigan beer trip last year, if you didn’t see it. I’m out of town right now, but I live in Kalamazoo, MI (about five minutes’ drive from Bell’s). I haven’t read that series (having discovered you guys fairly recently) but I’ll definitely read it when I have a chance to do so. Next time you’re nearby I’d love to buy you a pint! Cheers! If I ever go back up that way again, I’ll be sure to let you know. Don’t you love it how the only people who read these blogs are fellow beer bloggers? At least that way you know you have a passionate and educated readership! Next Post 3/9/2012: WHAT ARE YOU DRINKING TONIGHT?